The traditional Tyrolean company intends to increase its sales by 10% after three difficult years. The group active in crystal processing is feeling an upward movement again. For this year, "regular" growth is planned. 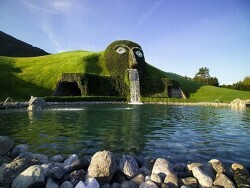 The company spokesman, Markus Langes-Swarovski said: "We are planning about 10% growth."